Knowing Your Social Style Can Make Leadership Easier! Sometimes leading a homeschool group means you are working with people who are very different from you. They want to socialize and you want to get a meeting started. They want to discuss every possible option and you want to make a decision. They want to hurry up and vote and you want to make sure everyone has input. In today’s episode of the HomeschoolCPA podcast (13 minutes), host Carol Topp explains what she has learned about social styles. Another tool to help you run a smooth and efficient board meeting is having an agenda. The Board Manual for homeschool organizations has sample agenda for you to use. I think you’ll find it helpful to organize your board and run your homeschool organization successfully! One of the best things about being in a homeschool group is the community of support you can receive. But do you know how to build a sense of community? In this short podcast episode (11 minutes) Carol Topp, the HomeschoolCPA, interviews homeschool leader Sheri Payne from Virginia. Sheri is the Director of Leader Support for HEAV, the Home Education Association of Virginia. She shares advice on many topics including how she deliberately trained and mentored other leaders. Do you have questions about leading your homeschool organization? Carol Topp’s website, books and this podcast are a great way to learn the basics, but maybe you need advice specific to your group. Carol Topp, CPA can arrange a private phone consultations with you and your board members. We can arrange a conference call so all your board members can call in from their own homes. The call can be recorded for those unable to attend. In this short podcast episode (11 minutes) Carol Topp, the HomeschoolCPA, interviews homeschool leader Sheri Payne from Virginia. Sheri is the Director of Leader Support for HEAV, the Home Education Association of Virginia. She shares advice on many topics including the mistakes she made in leading a homeschool organization. Conflict, hurt feeling, gossip, even bullying. Does it happen in your homeschool group Probably! What can you do about it? In this short podcast episode (13 minutes) Carol Topp, the HomeschoolCPA, interviews homeschool leader Anjoli Gallo. Anjoli runs a group in southern Florida and she shares insight into dealing with conflict. But she also shares some great tips on how she manages her time so leading a group doesn’t take over her life. Is there conflict in your homeschool group? Need help managing the volunteers in your organization? Carol Topp’s book Homeschool Co-ops: How to Start Them, Run Them and not Burn Out has a chapter devoted to managing volunteers and conflict! This book Homeschool Co-ops: How to Start Them, Run Them and Not Burn Out will give you ideas, inspiration, tips, wisdom and the tools you need to start a homeschool co-op, run it and not burn out! Can nonprofit board members be held personally liable? The court ruled that the officers, specifically the nonprofit’s administrator and CFO, and board of directors were jointly and severally liable to creditors in the amount of $2.25 million. Did you get that? “Personally liable for breach of their fiduciary duties.” That means the board members must pay, from their own pocket, damages because they didn’t do their job as board members! Know your duties as board members and do them. Read this blog post: Serving on a nonprofit board: What is required? You may find my Homeschool Organization Board Manual very helpful in learning about your board duties and training your board members. Are homeschoolers losing a sense of community? What could happen if we don’t have a supportive community? Angela had so much advice, that it takes three episodes and this is the third of three parts! Do you have questions about leading your homeschool organization? Carol Topp’s website, books and this podcast are a great way to learn the basics, but maybe you need advice specific to your group. Carol Topp, CPA can arrange a private phone consultations with you and your board members. Do you wonder if your homeschool group leadership team is too large or too small? What is the best size to be? The perfect size of a board: large or small? Is an odd number of board members essential? What is the board president’s job? Is it to do everything? Angela had so much experience, that it takes three episodes and this is the second of three parts! Does a nonprofit need to file a tax return before they receive tax exempt status? Yes, the IRS requires organizations to file information returns before they apply for tax exempt status. An organization that claims tax-exempt status under section 501(a), but has not yet received an IRS letter recognizing exempt status, is generally required to file an annual exempt organization return. So the answer is YES, you need to file either tax returns (and pay tax!) or information returns before you are granted tax exempt status. 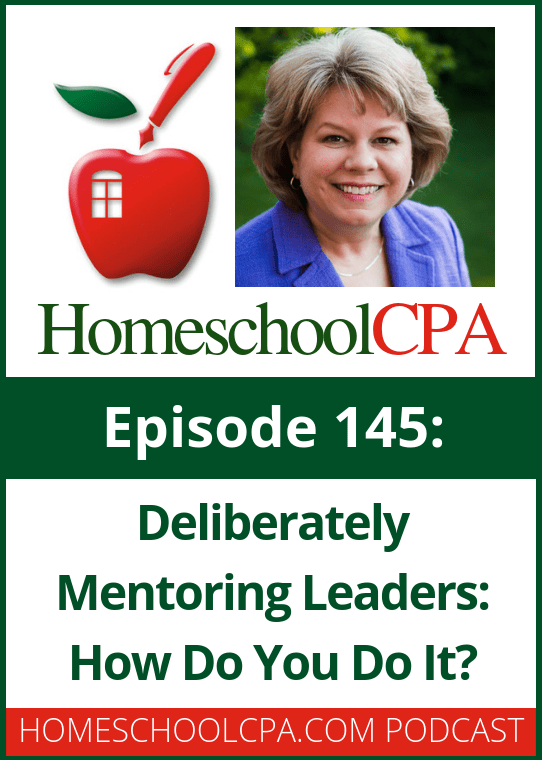 In this short podcast episode (14 minutes) Carol Topp, the HomeschoolCPA, will explain this very confusing requirement. Have more questions about your homeschool organization’s tax exempt status? My book, The IRS and Your Homeschool Organization would be a big help. Does your homeschool group need to pay taxes? Could they avoid paying taxes by being a 501c3 tax exempt organization? Do you know the pros and cons of 501c3 status? Do you know what 501c3 status could mean for your homeschool group?